From day one, Ray, my driving instructor from Sky Driving had started preparing me for my test. 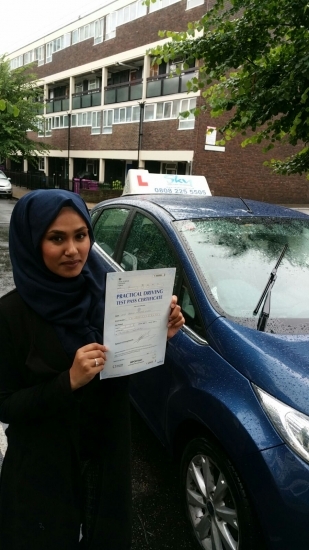 At few occasions, I felt I wanted to give up, but on the other hand his constant support and guidance has helped me overcome this and eventually at my first attempt, I have passed my driving test. What I particularly liked about my instructor was that he always put his 100% dedication into his work, explaining why we do certain things, giving me tips and thrive me to become a better effective driver. Overall, my outcome of my driving sessions , I was very pleased with the my experience at Sky Driving School and hope to do a Pass plus course soon with the company.